I have been enjoying our interactions on facebook so much, I have somewhat neglected the blog. And, truthfully, I had to go back to a non-pie job and time is tight. But here are a few recent shots of Pie Club escapades! 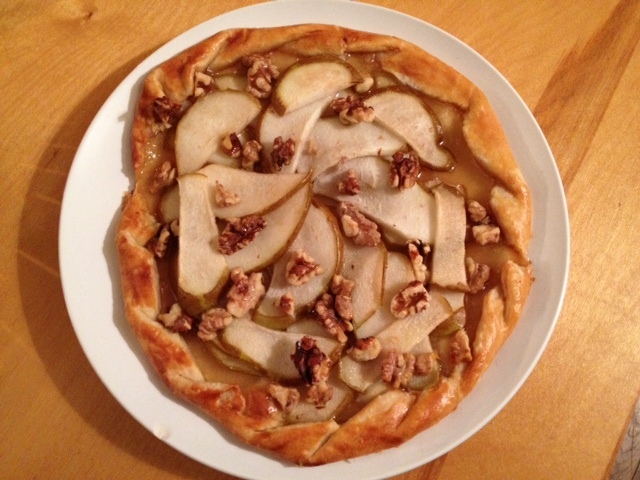 My first attempt at a galette – honey and walnuts and pears, oh my! 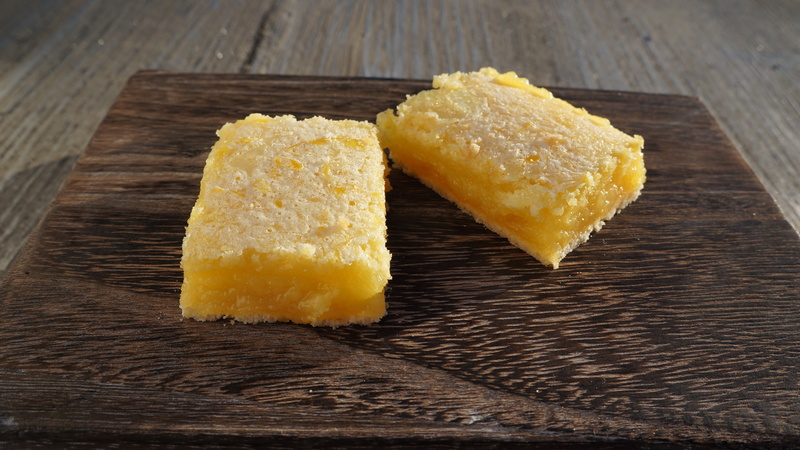 Lemon bars, apple pear crisp, and mint chocolate cream pie taste tests – ready for delivery! The Pie Club goes international! Here’s my mom showing our website to fellow baker at Vancouver, BC based The Pie Shoppe. Thanks mom! In other news, spring is here! Can. Not. Wait. for late-spring pies, can you? All five of the tasting options! Congrats to J & A – Looking forward to seeing you in January for your big day! 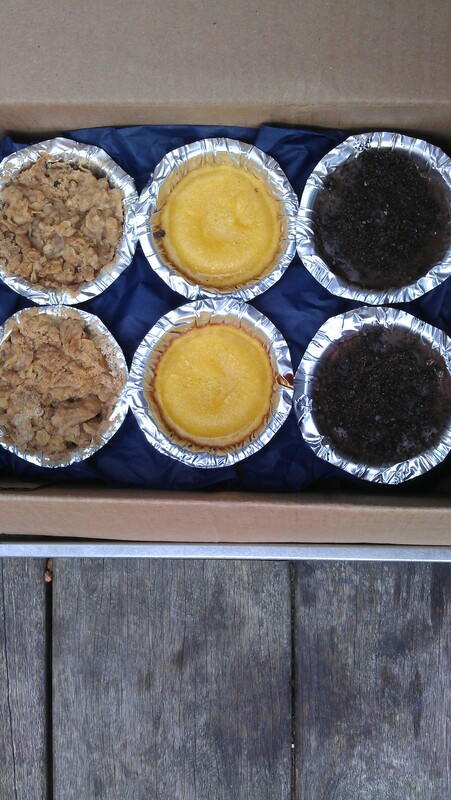 Pre-Order Thanksgiving Pies on Good Eggs! We have launched on Good Eggs for super easy pie pre-ordering! 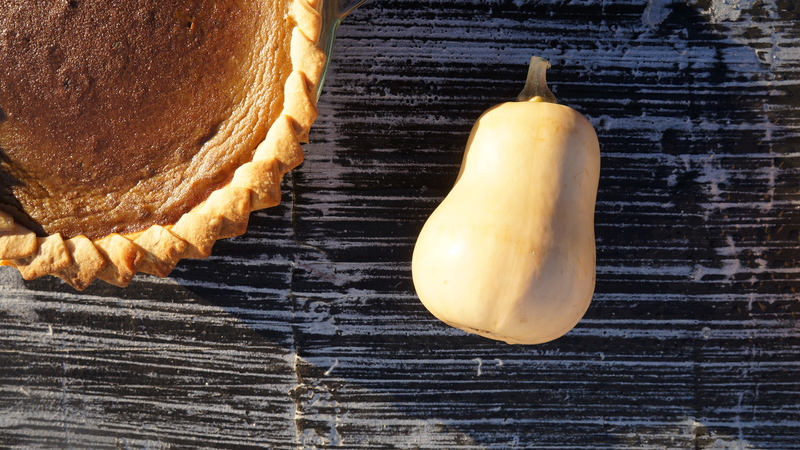 Click here to pre-order your Thanksgiving pies! Good Eggs is a hub to bring people and food closer together. It’s like a virtual farmer’s market – and Ru’s Pie Club has its very own webstand – a dream come true! anytime between 10:30am-8pm the Wednesday before Thanksgiving. *Ru’s Pies will still be available on the Good Eggs webstand after Thanksgiving – so stay tuned for more pick-up dates and locations! 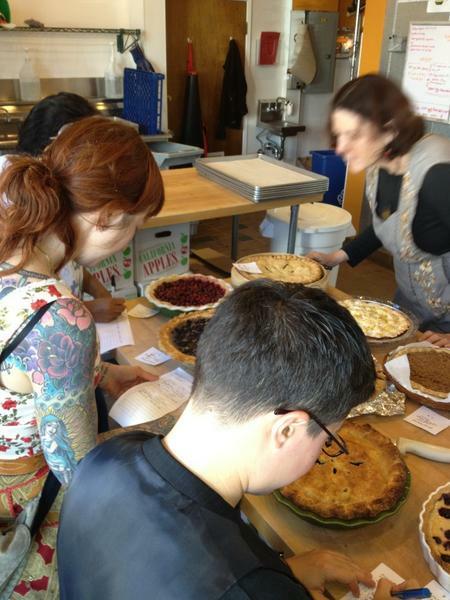 Photos from Pie Contest Judging! Check it out! I clearly take pie very seriously. 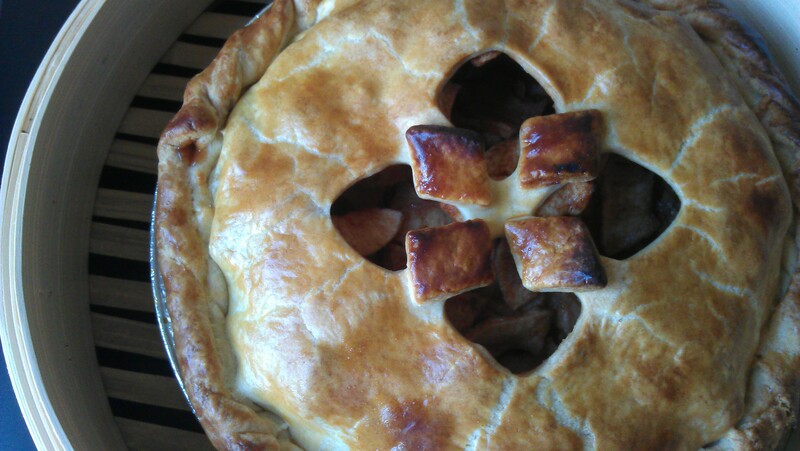 See more from the Mission Pie Twitter feed from their 2012 pie contest! A few weeks ago on a trip to Sebastopol for gravenstein apples, my friend Moe and I stopped at Bee Kind – a small honey shop on Gravenstein Hwy that sells over 40 different kinds of local honey. You can check this place out on the web here, but I definitely recommend visiting in person because the shop offers taste tests for all of their honeys. My favorite was the pomegranate honey, but I only tasted 3 or 4 for fear that I’d ruin my appetite for a slice of gravenstein apple pie from Mom’s Apple Pie, a large pie kitchen that’s a little farther north on Gravenstein Hwy. But the honey inspired me to think BIG. 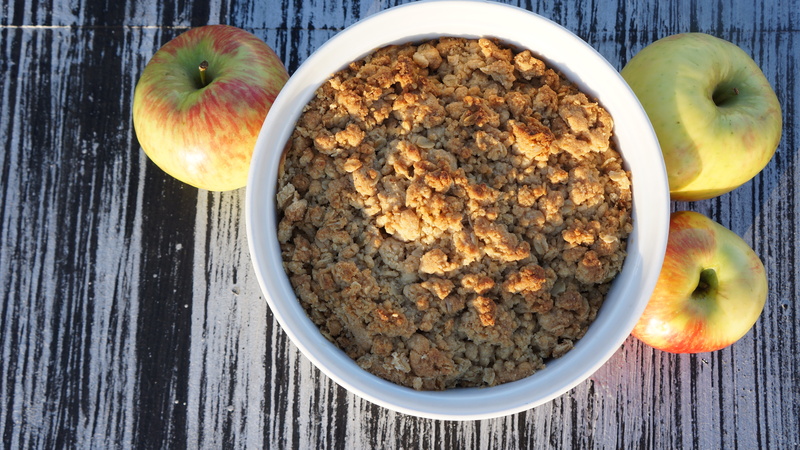 On the Jewish New Year, many communities eat apples, round breads, and honey to celebrate the sweetness and cyclical nature of the new year…which, of course, led me to idea of a Rosh Hashanah pie! 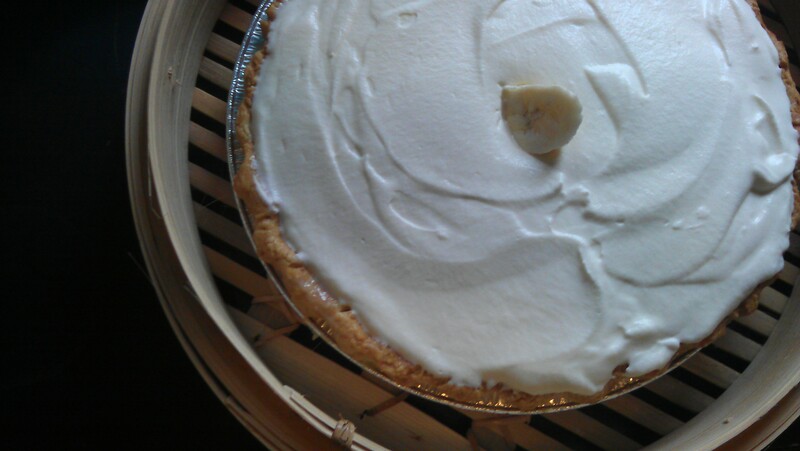 *You are more than welcome to order this pie whether you celebrate Rosh Hashanah or not! A Pie Crust Workshop with The Pie Club! This October, I am teaching a workshop through Skillshare – a community marketplace for classes of all kinds – on making delicious pie and tart crusts! There’s limited room, so sign up today with this special link! And tell your friends! 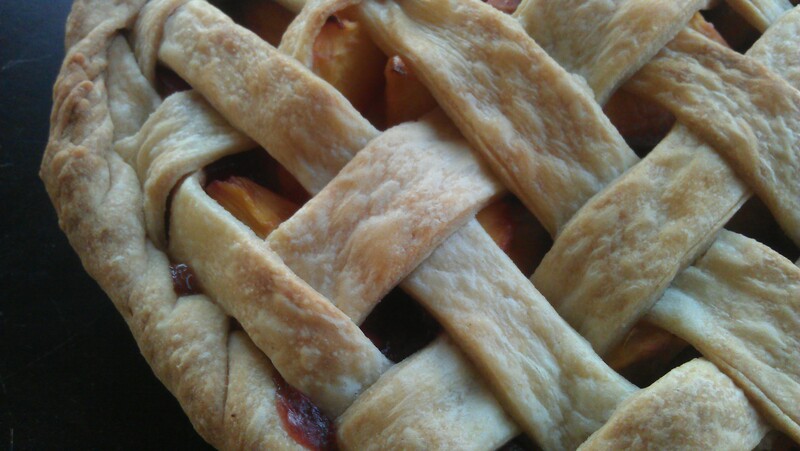 Top your pie with a tart crust using cookie cutters! 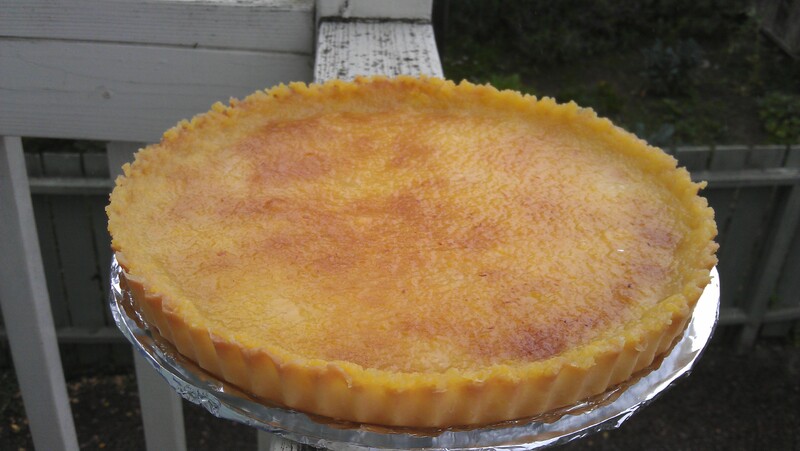 After an incredible non-stop-baking month, I thought I would take advantage of this relatively slow week to catch up on a few things, including the Pie Club blog! 1) Baking endeavors take, on average, 2 hours longer than I anticipate. Every time. No matter how many times I have learned this one, those 2 hours seem to creep up. 2) After making 20 pies in 48 hours (see my post about that here), one or three pies at a time is easy-peasy. No big deal. And while I recognize that that first order was kind of out of control, filling my biggest order first was like jumping into cold water, head first. So bring on the big orders! I am ready. 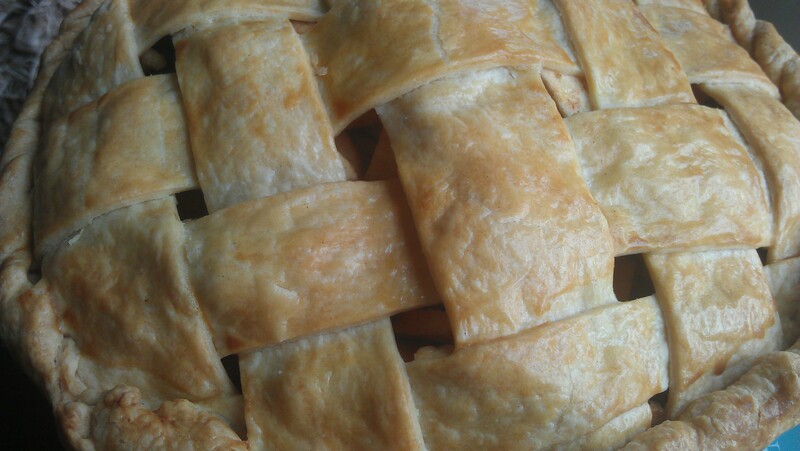 Apple Pie with an egg wash! See how pretty it is?! 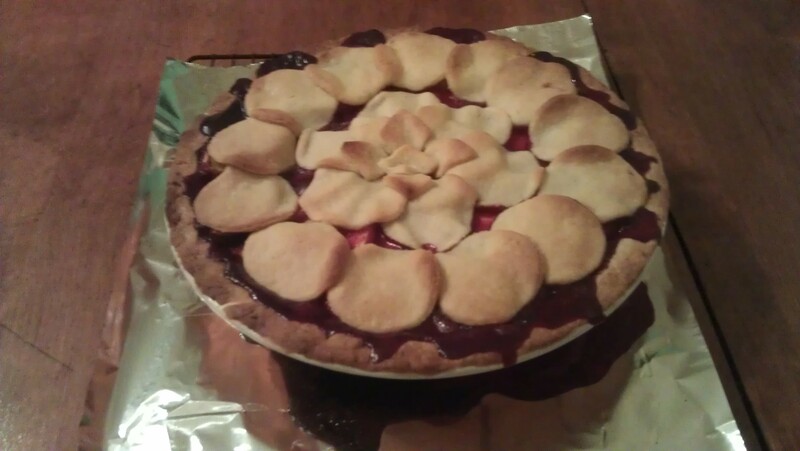 Nectarine and strawberry pie with no wash. Delicious, but crust is lighter and dryer. Can you see it?! and start utilizing restaurant supply stores and bulk farm orders to cut my costs. I am currently searching for someone to design a logo and a “look” for Ru’s Pie Club. I would love any advice from small business owners in Oakland! And, of course, please keep ordering those pies! lots of pie love to you all!